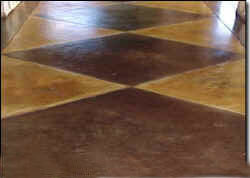 Concrete stain reacts chemically with the mineral content of the concrete surface penetrating deeply and permanently. The results are unmatched by any other process and renders the wonderfully natural appearance of aged stone. Perfect for residential, commercial or any municipality. Finally, there's an effective solution you'll be proud of for finishing new or old concrete. 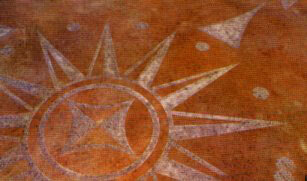 There is simply no better way to embellish new or old concrete. Concrete Chemical Stain evokes an Old World, rustic Charm that imparts an inviting sense of appeal unique to any other finishing method. Your color choices are etched in concrete! Choose one of our many colors carefully. Because of the deep chemical reaction with the surface of your concrete slab, the chemical stain will not wear off like paints and other stains.